Nowadays big data processing, mining, and analysis are very popular and important topics in both academia and industry. The theme of Data-driven Industrial Informatics (DII) aims at sensing the intelligence hidden in big industrial heterogeneous data. It is our pleasure to have several distinguished speakers to give us talks on data-driven industrial informatics. We will have discussions on these topics in the following two days. Michel Verleysen is a Professor of Machine Learning at the Université catholique de Louvain, Belgium. He has been an invited professor at the Swiss E.P.F.L. (Ecole Polytechnique Fédérale de Lausanne, Switzerland), at the Université d'Evry Val d'Essonne (France), at the Université ParisI-Panthéon-Sorbonne and at Université Paris Est. He is an Honorary Research Director of the Belgian F.N.R.S. (National Fund for Scientific Research), and the Dean of the Louvain School of Engineering. He is editor-in-chief of the Neural Processing Letters journal (published by Springer), chairman of the annual ESANN conference (European Symposium on Artificial Neural Networks, Computational Intelligence and Machine Learning), past associate editor of the IEEE Trans. on Neural Networks journal, and member of the editorial board and program committee of several journals and conferences on neural networks and learning. He was the chairman of the IEEE Computational Intelligence Society Benelux chapter (2008-2010), and member of the executive board of the European Neural Networks Society (2005-2010). He is author or co-author of more than 250 scientific papers in international journals and books or communications to conferences with reviewing committee. He is the co-author of the scientific popularization book on artificial neural networks in the series “Que Sais-Je?”, in French, and of the "Nonlinear Dimensionality Reduction" book published by Springer in 2007. 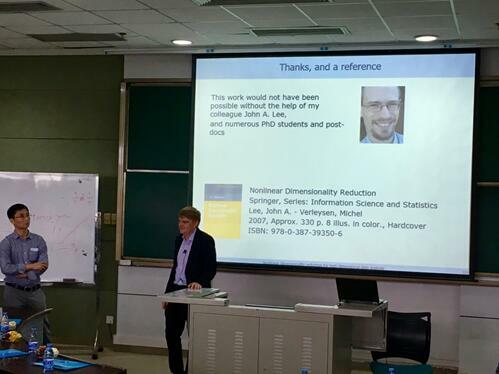 His research interests include machine learning, feature selection, nonlinear dimensionality reduction, visualization, high-dimensional data analysis, self-organization, time-series forecasting and biomedical signal processing. Luis Gomes received the Electrotechnical Eng. degree from the UniversidadeTecnica de Lisboa, Lisbon, Portugal, in 1981, and the Ph.D. degree in digital systems from Nova University of Lisboa, Lisbon, Portugal, in 1997. He is currently a professor in the Electrical Engineering Department, Faculty of Sciences and Technology, Nova University of Lisboa and a Researcher at UNINOVA Institute, Caparica, Portugal. From 1984 to 1987, he was with EID, a Portuguese medium enterprise in the area of electronic system design. He is the recipient of the 2016 IEEE IES Anthony J. Hornfeck Service Award. His main interest focuses on the usage of Petri nets and other concurrency models applied to reconfigurable and embedded systems codesign, as well as to cyber-physical systems. Tommy W S Chow is a Professor of the Department of Electronic Engineering at the City University of Hong Kong. He received his Ph.D. degree from University of Sunderland, U.K. in 1988 and returned Hong Kong to join the Electronic Engineering Department of the university. His research interests are in the area of Machine learning including neural networks, machine learning, pattern recognition, and fault diagnosis. Until now, he has published over 160 referred papers in international journals, 5 book chapters, and 1 book. Under the Google scholar, his works have received a citation of over 4,300 and an H index of 35. He was the Guest Editor of Neural Computing & Applications on the 2010 Special Issue on “The Emerging Applications of Neural Networks.” He received the Best Paper Award in 2002 IEEE Industrial Electronics Society Annual meeting in Seville, Spain. He now serves the IEEE as an Associate Editor of IEEE Transactions on Industrial Informatics. Professor Loi Lei Lai received B.Sc. (First Class Honors, the only one), Ph.D. and D.Sc. from University of Aston and City, University of London respectively. 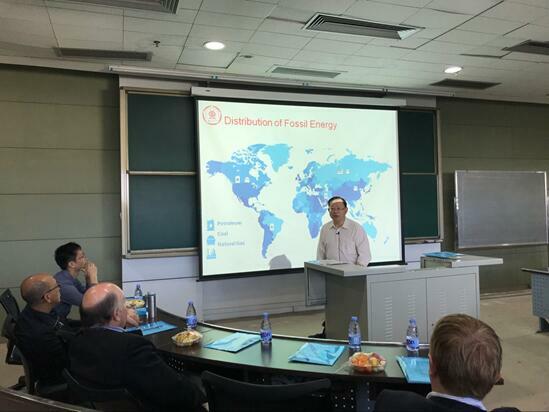 Presently he is University Distinguished Professor at Guangdong University of Technology, Guangzhou China. He was Director of Research and Development Centre, Pao Yue Kong Chair Professor, Vice President and Professor & Chair in Electrical Engineering for State Grid Energy Research Institute, Beijing China; Zhejiang University, China; IEEE Systems, Man and Cybernetics Society (IEEE/SMCS) and City, University of London respectively. He is a member of the IEEE Smart Grid Steering Committee and IEEE Smart City Steering Committee. He was awarded an IEEE Third Millennium Medal, IEEE Power and Energy Society (IEEE/PES) UKRI Power Chapter Outstanding Engineer Award in 2000, IEEE/PES Energy Development and Power Generation Committee Prize Paper in 2006 & 2009, IEEE/SMCS Outstanding Contribution Award in 2013 & 2014 and Most Active Technical Committee Award in 2016. 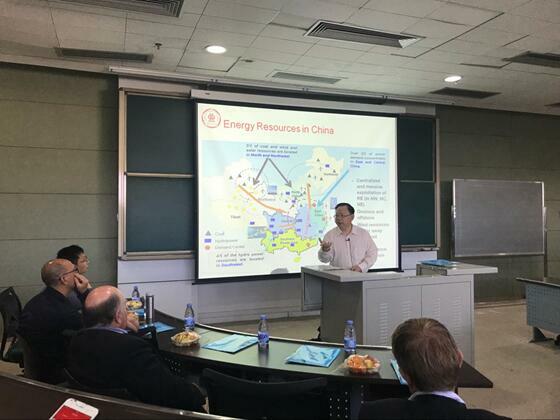 His research interests are in smart grid, clean energy and computational intelligence applications in power. He is a Fellow of IEEE and IET &National Distinguished Expert in China and Distinguished Expert in State Grid Corporation of China. 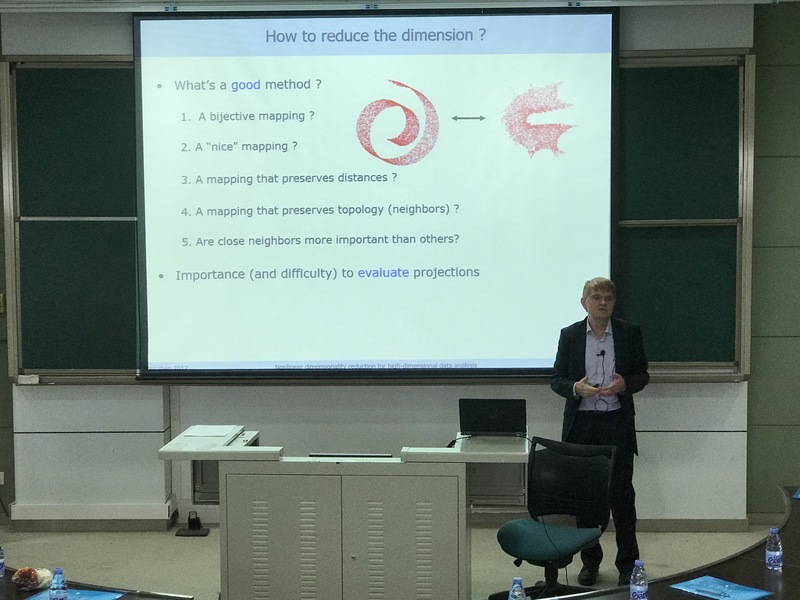 Dimensionality reduction (DR) aims at providing faithful low-dimensional (LD) representations of high-dimensional (HD) data. DR is a ubiquitous tool in many branches of science, like sociology, psychometrics, statistics, and, more recently, in (big) data mining. A faithful LD representation of HD data preserves key properties of the original data. Choosing the key property (Euclidean distances, geodesic distances, similarities,…) largely influences the resulting representation. DR techniques being mostly unsupervised, quality assessment is also an important issue. 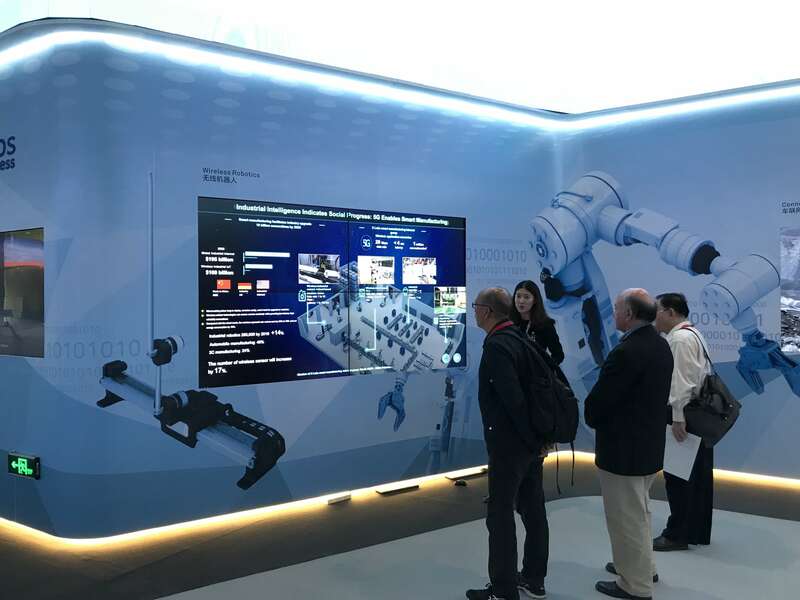 Adoption of a model-based development attitude can benefit the design of distributed embedded controllers, allowing adequate support for designer’s needs integrating reusability of already available components, as well as design automation tools. 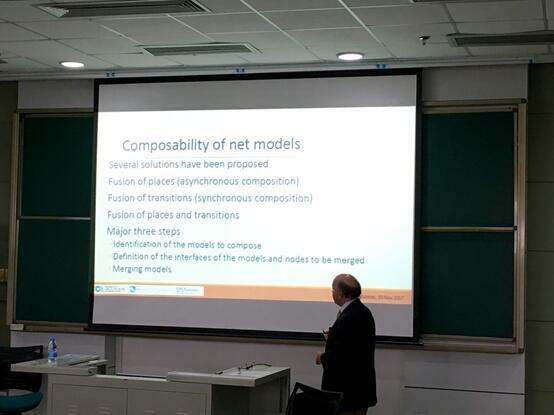 Selection of Petri nets as reference modeling formalism provides support for a comprehensive specification and documentation of the system, complementing graphical expressiveness with formal verification capabilities. A Petri nets based development flow targeted for the design of distributed embedded controllers and cyber-physical systems is presented. Input-Output Place-Transition Petri nets (IOPT nets) are used as the underlying formalism, allowing explicit representation of dependencies on input and output signals and events (as common whenever generation of code for controllers is foreseen). Distributed execution is addressed adding the concept of time domains and communication channels to IOPT nets. The IOPT-Tools tool chain framework supports the whole development process from specification to implementation, including tools for model edition, simulation, properties verification, and automatic code generation targeting for deployment into specific implementation platforms (where VHDL coding is used for hardware-based implementation and C coding is selected for software-oriented implementation). The Big data era has changed the landscape of retail and business model. 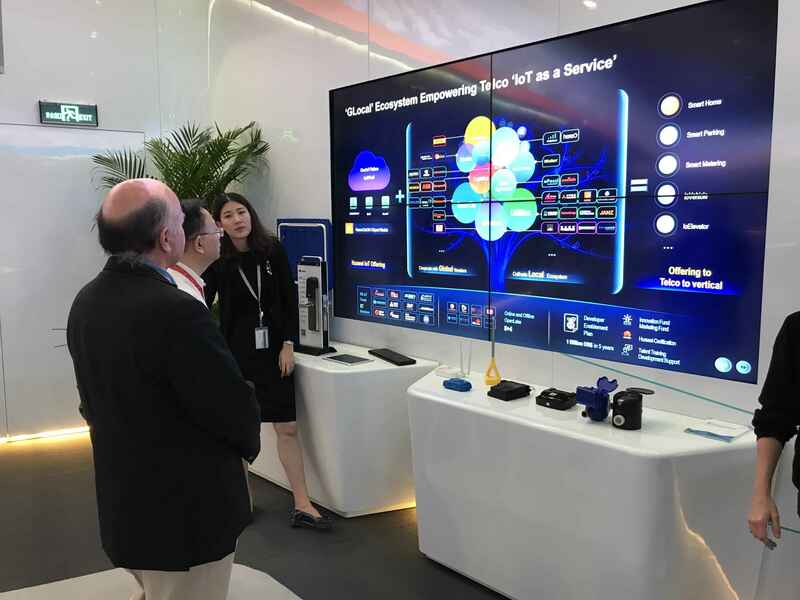 Benefitting from the machine learning and Big data technology, we are witnessing Amazon and Alibaba are growing into the world two e-retailer giants with a capital size of approaching US$1 Trillion. The technology of machine learning and Big data has enabled these two e-retailers making huge profit. They have kept launching more machine learning based services to customers. 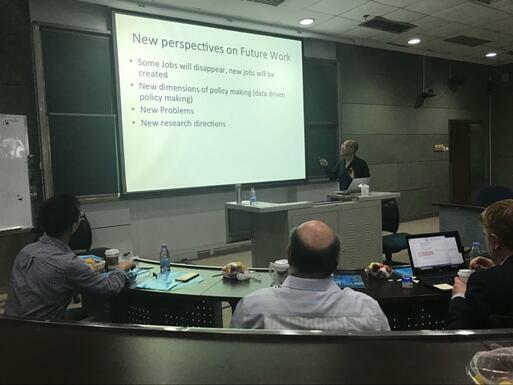 In public policy research, new direction based on Big data or the so-called data driven public policy has also become increasingly important. The 2016 US presidential election has unfolded an interesting Big data high-tech battle between the presidential candidates. The sophisticated machine learning technology has already moved out from research laboratory to daily apps that are available in cell phones and computers. 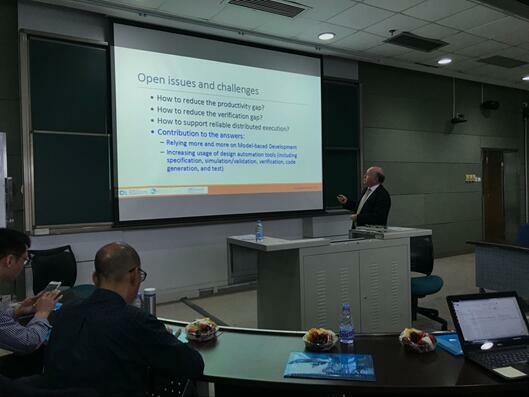 We in City University of Hong Kong have also focusing on more machine learning applications research especially focusing on document processing. 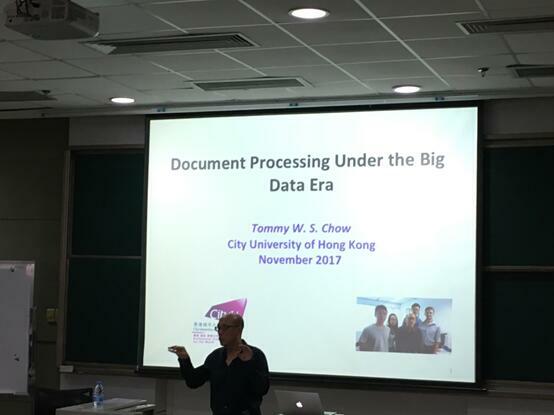 We in this talk will introduce our recent research activities on document processing that include keywords, key sentences extraction, document summarization on big data applications. Smart Grid and Smart Cities growth and development have led to the deployment of more solar photovoltaic (PV) and electrical energy storages. Due to data uncertainty, data explosion, and prerequisite for system planning/operation, it is essential to have data analytics for Solar PV. In this talk, daily Clearness Index profiles cluster analysis for PV system will be explained and illustrated with examples, such as the application of Fuzzy C-Means with Dynamic time warping (DTW) for clearness index (CI) clustering.